If you caught my tips on keeping kids safe in the sun last year you will know that one of my ‘musts’ is to keep kids hydrated. The fact is that this applies to us adults too. Given the fact that the human body is primarily water, there is not one part of our bodies that would not benefit from being well hydrated. Alflorex® is a PrecisionBiotic™ daily supplement that contains the unique and precise culture Bifidobacterium infantis 35624 to support digestive health. Keeping hydrated is important to minimise digestive issues. Keeping water intake high enough can help alleviate some symptoms of IBS. It can ensure nutrients are delivered while toxins removed. 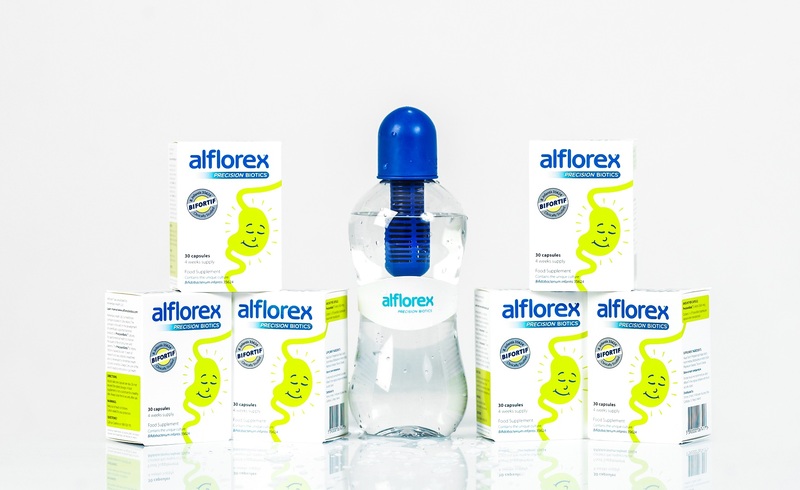 It has been a while since I had a giveaway around here and Alflorex have offered me a fantastic prize; a Bobble water bottle and a six month supply of Alflorex precision probiotics supplements for digestive health, all worth about €200. The Bobble water bottle filters water as you drink and it can be re-used to ensure you are constantly getting enough hydration. When water passes through the built-in filter, chlorine is removed from ordinary tap water, making water taste crisp and clean. The bottle itself looks pretty cool and funky too. If you would like the chance to win a branded Alflorex Bobble Bottle and six month supply of Alflorex PrecisionBiotics all to the value of €200 then just enter using the Rafflecopter below. If you are not a winner you can check them out on their website or via their Facebook or Twitter pages for more information, find stockists or buy online. Disclosure: I was offered this prize as a reader giveaway by Alflorex. I was not otherwise compensated for this post. I come led do with this. Need anything to keep boosted!! That should read “I could do with this”! Nice competition – thank you! Most welcome 🙂 Good luck! Sounds just what I need, I hate the smell of the tap water and am supposed to drink plenty of the stuff to stave off my fluid retention. Would also help with my temperamental stomach too. Fab prize. Good luck all. ? 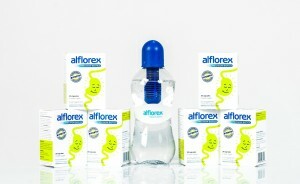 Great giveaway – I take alflorex daily and love it! I really want to try this as I have digestive problems and am hearing great things about this . Fantastic competition, I had to have life saving emergency surgery to remove my colon due to perforations, I now live with a jpouch it’s an integral pouch that’s acts as a reservoir to collect waste. I would love to win this as I need a constant source of good bacteria in my small intestine and pouch to remain healthy. Good luck everyone X ???????? Glad you came through your surgery. Good luck Grainne. This would be very useful! Thanks for great giveaway.